It starts out looking like this though. The booze is pertinent to the recipe (not true). 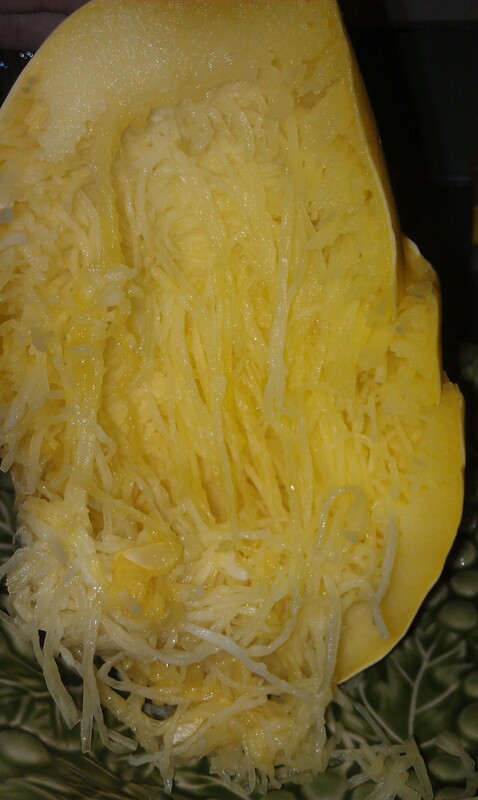 So you wash your spaghetti squash and then puncture it like a potato. 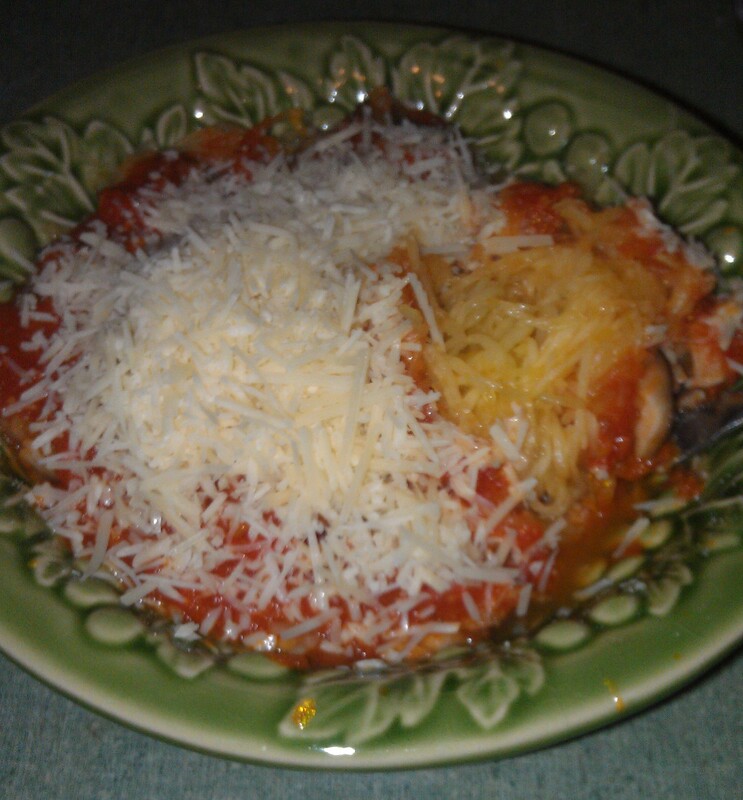 I have seriously never read a recipe on how to cook a spaghetti squash, I simply assumed this would be the best way to cook it and it worked. Maybe I should broaden my horizons. 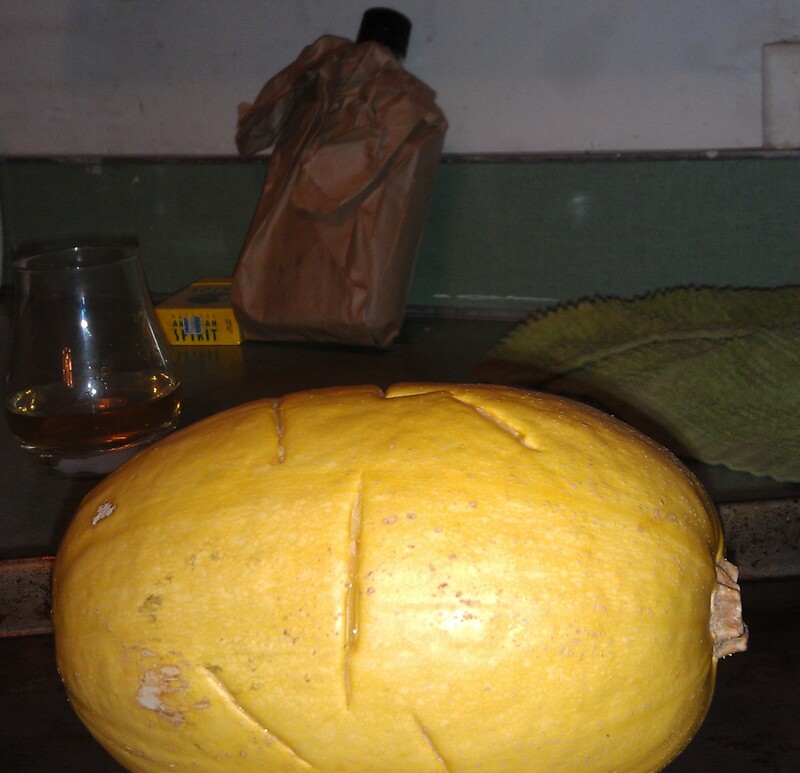 After puncturing the squash I put it on a pan and cook it at 375° for an hour. In the meantime I boiled some water and I tossed in three Roma tomatoes. Once the skin cracked (3 minutes or so) I used a slotted spoon to transfer them to a bowl of cold water. The skins come off like magic. 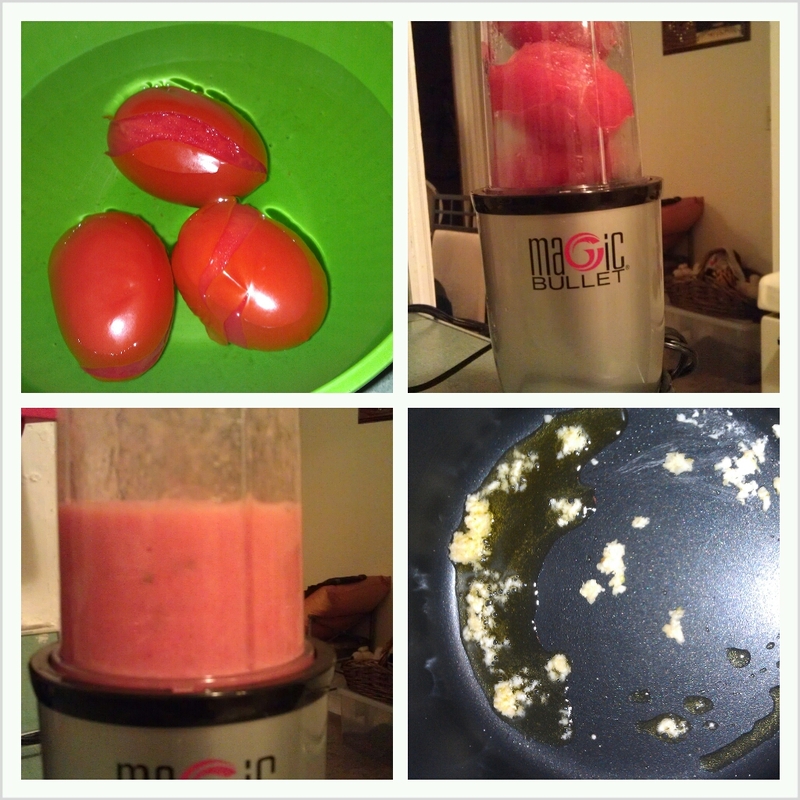 After removing the skin I put the Roma’s in the Magic Bullet and blend until smooth, set aside. Heat up a couple of tablespoons of oil in a pot (on medium heat) and toss in some garlic. 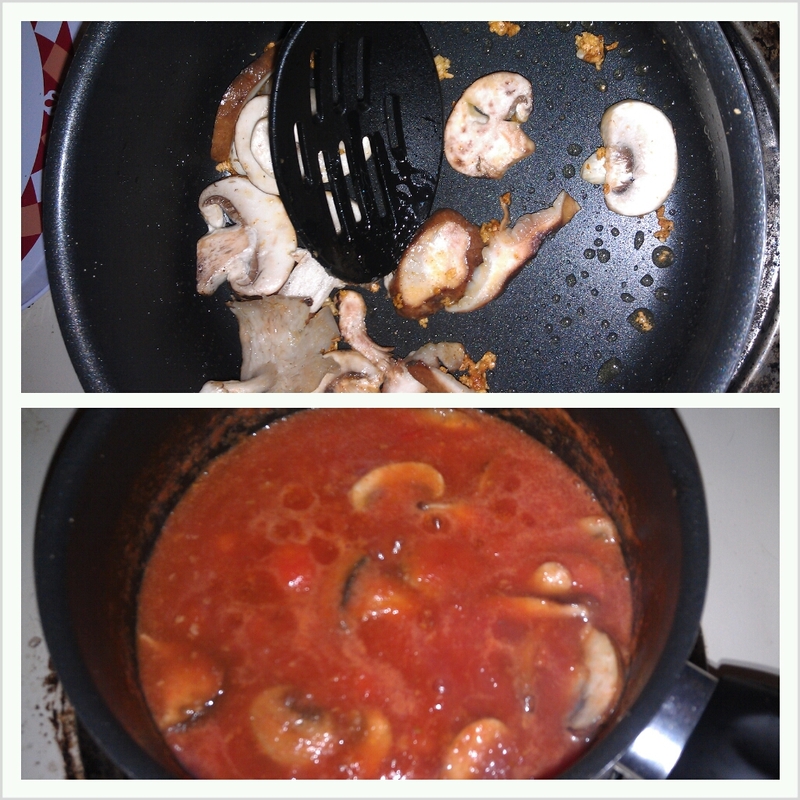 Once browned add a handful of chopped mushrooms. Once those are lookin’ tender add the tomato purée and cook covered on medium heat for a 15 minutes or so. Make sure to stir so it doesn’t stick to the bottom of the pot. Get inventive! Add olives, artichokes, peppers, onion or whatever you want to your “pasta” sauce! 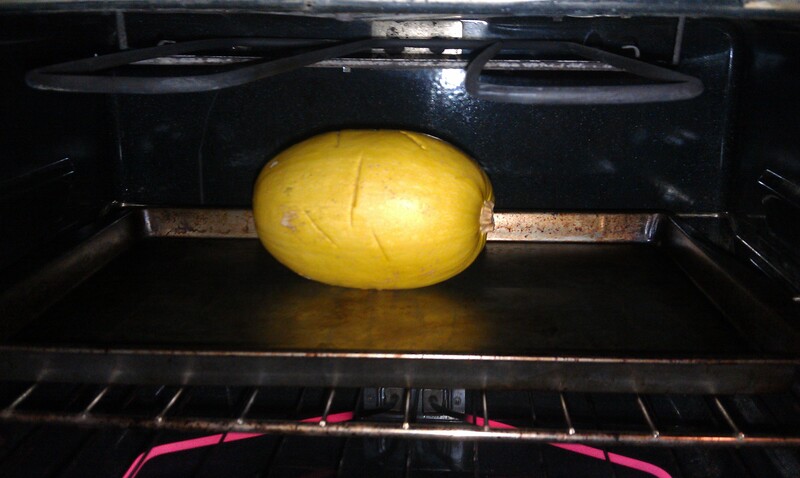 When it’s ready, take the squash out of the oven and let it cool for a few minutes. Cut it in half and then pick the seeds out with a fork. 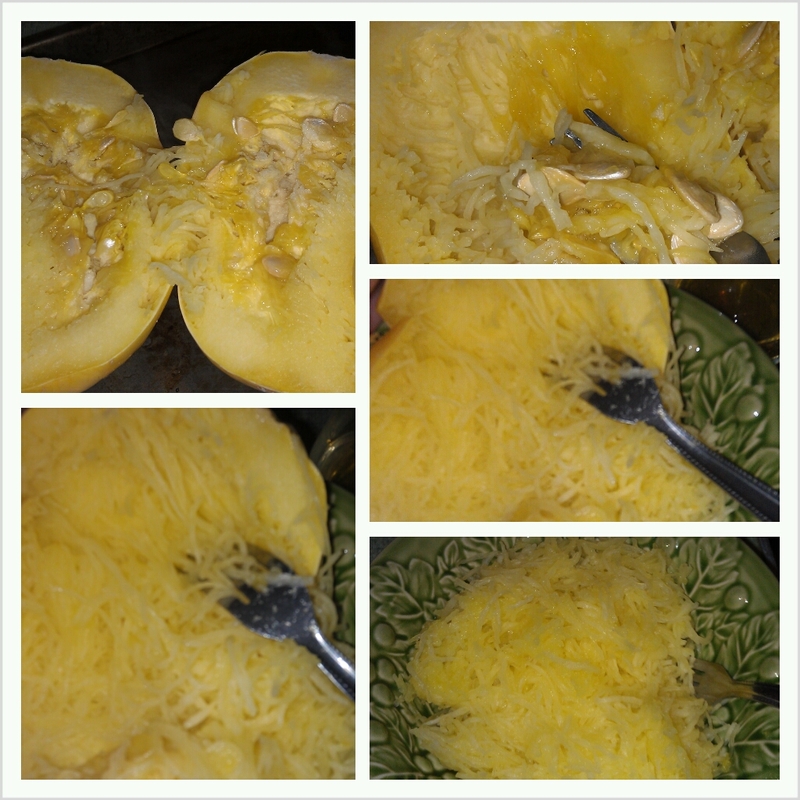 After removing the seeds, use a fork to scrape the “spaghetti” out of the squash. Pour the sauce over the squash pasta, then cover it with cheese if you wish. Half of the squash and 3 Roma tomatoes were more than enough for a meal for me. I was actually stuffed. That was last night. 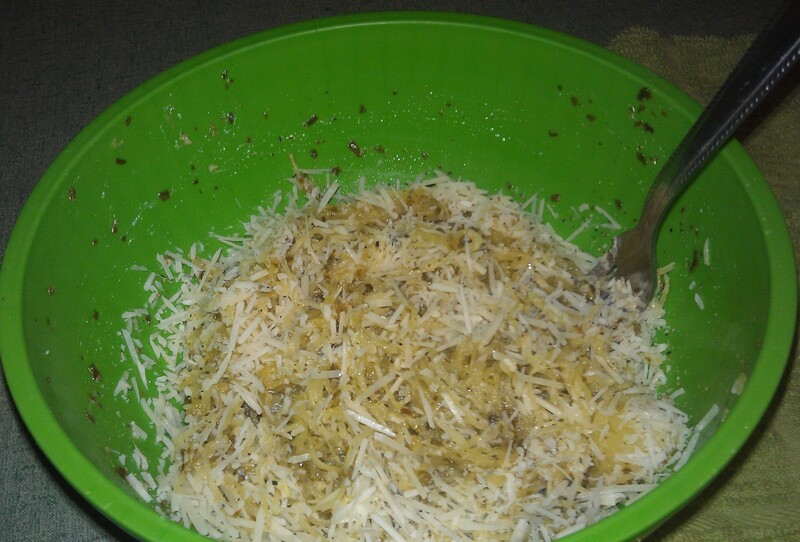 Tonight I used the other half of the squash to make pesto “pasta”, covered with cheese of course. Two great meals, one great squash. ← My Lettuce Is Growing!